What do we use drinking water for in this country? 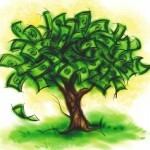 “To flush our toilets, to bath or shower, to wash our hands and cars and to irrigate our gardens. 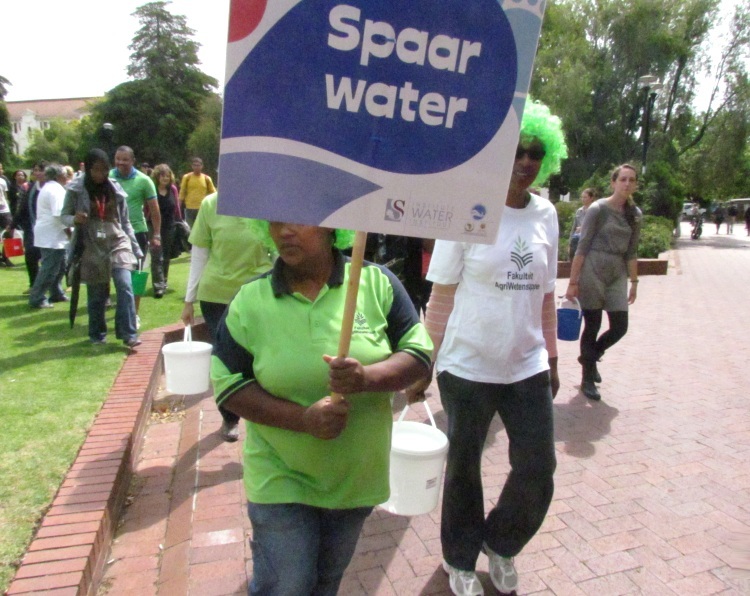 How much of this drinking water is actually used for drinking?” asked Councillor David Botha (pictured, right) from the Stellenbosch municipality during the university’s World Walk for Water and Sanitation this week. 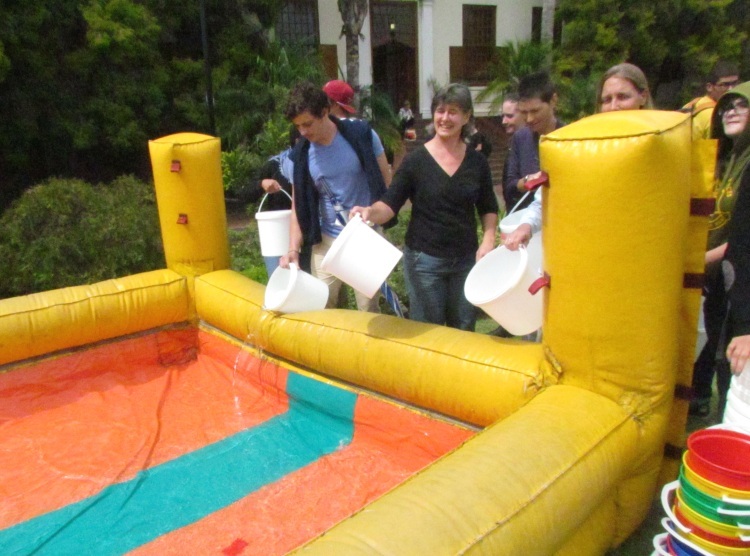 The event was organised by the Stellenbosch University Water Institute, a multidisciplinary research enterprise that was set up in 2010 in response to the formidable and unprecedented water challenges facing South Africa. We drink about 15% of our drinking water. We are already using 98% of our country’s available water, Botha said. (Yet 5 million South Africans still don’t have access to water and 14 million to basic sanitation.) Globally, 800 million people still don’t have access to safe water, while 40% of the world doesn’t have access to a toilet. “The rain is free,” he referred to the slight drizzle which possibly contributed to only a small handful of students and lecturers arriving for the international event. So the troop of water walkers set off around the campus carrying buckets of water in solidarity with the millions of women who walk to rivers and carry water every day – joined by others doing the same across the planet. This year, and every year until there is universal access to water, people from around the world come together on World Water Day on 22 March to demand action from leaders of government to address the water and sanitation crisis. In 2013, the event involved more than 400 000 people in more than 65 countries. 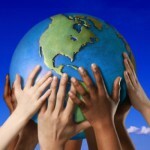 It is now regarded as the largest water and sanitation mobilisation event in the world. 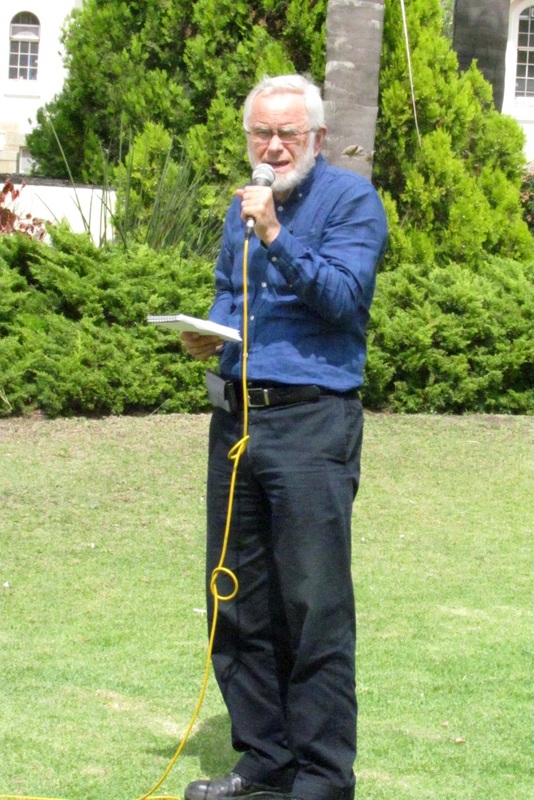 What we need is metanoia, said Botha – a change of heart – to treasure our water, demand water action for all and ensure more people can live healthy lives.